There are different types of scanners that we can use. As an example, flatbed scanners are essentially devices that allow us to scan documents into a digital format. There are different types of flatbed scanner models in the market. They often share the same kind of characteristics that is to transfer paper-based information into a digital format. 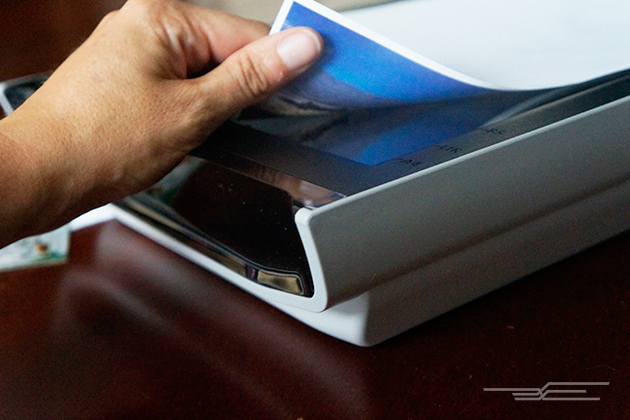 Many consumers prefer to use flatbed scanner, due to the higher scanning capability, especially for converting detailed photographs and important documents. When choosing a scanner, we should make sure that it’s very easy to use. When it comes to ease of usage, the flatbed scanner should be able to give us the ability to scan a document by simply closing the lid and hitting the “Scan” button. There should also be clear indications where we should put a photograph or document inside the scanner, so we would avoid misalignment in digital results. Unfortunately, despite its reliable results, flatbed scanners can be quite bulky and large. In more cramped areas, flatbed scanners can eat up more space than necessary. If we do need flatbed scanners, we should choose the one with wireless capability to save space, by eliminating the need of positioning and handling cables. It means that the scanner can be placed more efficiently in specific places, without being directly connected to desktop computers or laptops through cables. Wireless scanners can be connected with computers through Bluetooth or WLAN. We should choose scanners with one-touch scanning option that allows us to convert the document into specific file format. We may need to use specific configurations to enable this capability. One touch scanning should be a great tool, because it will make us more productive. In this case, we won’t need to continuously adjust configurations and other settings. When choosing scanners, we should make sure that they are able to convert color photographs, standard documents, slides, negatives and others. This is important because, many of these physical images and documents tend to fade over time. On the other hand, digital format could literally last forever, as long as we regularly create backups. Driver licenses, ID cards, health insurance contracts and other important personal documents should also be scanned. If we lose the original, printed document due to specific incidents, it would be very helpful if we are able to re-print the document as references. For heavy duty scanning capability, we may also choose opticbook scanners. They are able to scan magazines and entire books. It is important if we have collections of important books that we want to preserve digitally. These digital books can be transferred to computers or mobile devices for references, without bringing the actual book. Scanning a book with standard flatbed scanner would be quite tedious and we may actually damage the book. Travelers should also consider choosing portable scanners that can easily convert standard-sized documents and images. Opticslim scanners are also known for their portability and we should be able to scan anything we want.